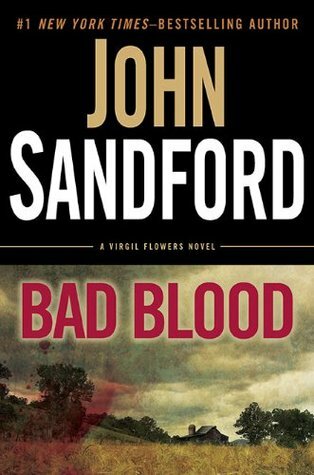 The brilliant new Virgil Flowers thriller from the #1 New York Times-bestselling author. One late fall Sunday in southern Minnesota, a farmer brings a load of soybeans to a local grain elevator- and a young man hits him on the head with a steel bar, drops him into the grain bin, waits until he's sure he's dead, and then calls the sheriff to report the "accident." Suspici The brilliant new Virgil Flowers thriller from the #1 New York Times-bestselling author. One late fall Sunday in southern Minnesota, a farmer brings a load of soybeans to a local grain elevator- and a young man hits him on the head with a steel bar, drops him into the grain bin, waits until he's sure he's dead, and then calls the sheriff to report the "accident." Suspicious, the sheriff calls in Virgil Flowers, who quickly breaks the kid down...and the next day the boy's found hanging in his cell. Remorse? Virgil isn't so sure, and as he investigates he begins to uncover a multigeneration, multifamily conspiracy-a series of crimes of such monstrosity that, though he's seen an awful lot in his life, even he has difficulty in comprehending it...and in figuring out what to do next.